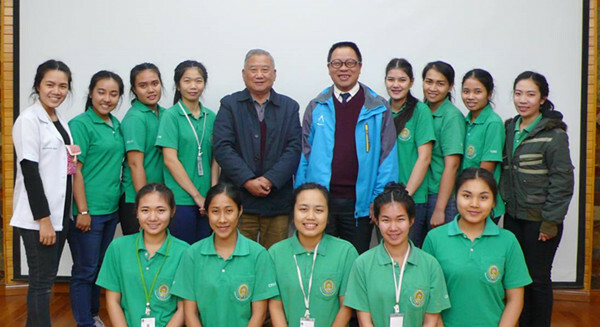 On December 2nd , 2016, delegation from School of Traditional & Alternative Medicine, Chiang Rai Rajabhat University, visited Kunming Institute of Botany, Chinese Academy of Sciences (KIB/CAS). The visit maily focusc on medical ethnobotany. Prof. PEI Shengji gave a talk on ‘Medical Ethnobotany and Application in the Study of Traditional Medicine and Conservation’. Traditional medicine in Thailand has a history of more than 1,000 years, Ethnobotany group of KIB has more than ten years exchange and cooperation history with the university that included three times scientific exchange, four times of short course learning. All those scientific exchanges program would lay a good foundation for the Belt and Road Initiative. The delegates also visited the Herbarium of KIB, the Germplasm Bank of Wild Species and Kunming Botanical Garden.